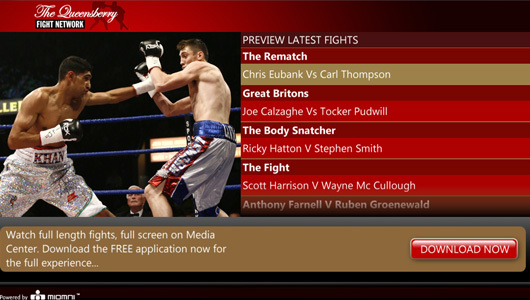 The Queensberry Fight Network brings the live fights on the ring straight to your desk and the living room. Miomni has teamed up with the UK’s leading boxing promotor Frank Warren and Microsoft to create the Queensberry Fight Network – the boxing channel exclusive to the Windows Platform. 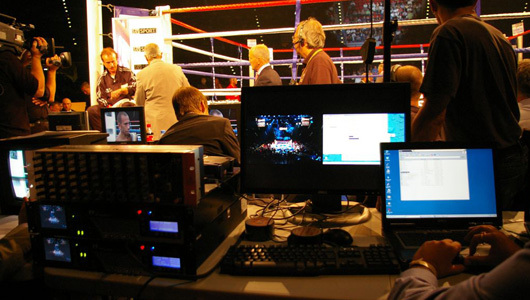 Fights are streamed live from ringside in real-time to the user’s computer or TV set. Hundreds of hours of video-on-demand content are also available for boxing fans to enjoy, from pre-match conferences and interviews to the rich catalogue of classic fights dating back as far as 1920. Miomni designed and build the user interface as well as the pay-per-view video e-commerce backend with the payment gateway, user registration & account CRM system with promotional voucher system. 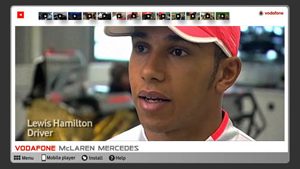 Videos are encoded and distributed internationally using the Miomni Platform.